Benefits of immersive three-dimensional (3D) applications are enhanced by effective 3D interaction techniques. While gesture-based interaction provides benefits in these types of environments users commonly report higher fatigue than with other interaction solutions. Typically, fatigue is measured subjectively but may lack precision, consistency and depth. Our research proposes a novel, more consistent and predictable measure of fatigue. This paper presents the details of our technique based on human motor coordination, the results of an experimental study on gesture-based interaction, identifies attributing causes for fatigue and outlines design guidelines to reduce fatigue for gesture-based interaction techniques. 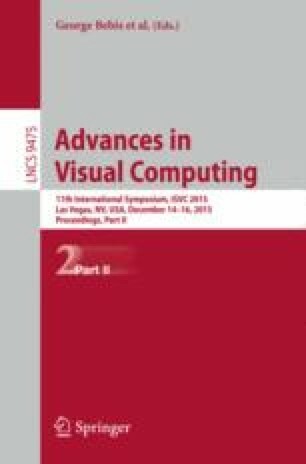 These results have implications for gesture-based or mid-air interaction techniques for 3D environments, such as virtual environments and immersive visualizations.